Investors will now see the Chinese stock market recover some momentum, as the central government decided to reduce interest rates effective November 22nd. It is an attempt to encourage the domestic economy to pick up some strength, as world growth rates continue to decline elsewhere. This is the first time since 2012, that China has reduced borrowing rates. The hope is to prevent 2014, from being the slowest economy since the 2009 banking crisis. The benchmark one year rate will be reduced from 6% to 5.6%. The rate for deposits will also be cut by a total of 25 basis points to 2.75%. A further announcement was that the Central Bank of China (PBOC) would allow commercial banks more freedom, in determining interest rates for potential borrowers. China is the world’s second largest economy and needs a growth rate of at least 7.5% according to the government, to keep labor markets stable. 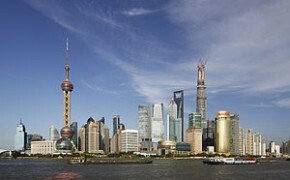 The third quarter saw the Chinese economy decline to 7.3%. Worse yet the PMI (Purchasing Managers Index) dropped to 50 points, which is an indication of how manufacturing is doing inside the country. The new rate is now at the dividing line between economic contraction and expansion. As a major employer and driver of exports, the manufacturing sector has abundant overcapacity in a number of industries. This is now leading to declining prices in many quarters. The Chinese economy has been the global driver of growth for some time. Efforts to stimulate there, will give some hope to international investors. Whether it will last, is questionable. Foreign investment in China has been a major contributor to economic growth. Recently it has been contracting. Still, the move is somewhat surprising, given that China has previously been reluctant to lower interest rates to boost economic growth. This is largely because of the expanding credit bubble in different sectors of the economy, especially the housing market. The domestic real estate market, has been a major driver of growth in China during recent years. In October, home prices were falling in 67 out of 70 major urban areas in the country. This trend if it continues, will put more pressure on debt ridden home owners. China still wishes to avoid the same fate as Japan experienced since 1989. If the housing bubble in China were to implode, it would consign the country with a major debt overhang for years to come. The Chinese government wants to avoid a decade of lost growth as Japan went through in the 1990’s. The remedy for that according to government officials, is to inject enough stimulus in the economy to prevent a hard landing for the economy. At the same time, too much liquidity would only reignite the mass speculation, that has taken place in the Chinese real estate market. The news helped the European stock market as well. Largely because faster growth in China, might help a number of European companies recover somewhat. This is increasingly true with those commercial enterprises in mining and in various other commodities. China now joins the United States Federal Reserve (the Fed) and the European Central Bank (ECB) in using lower borrowing rates, to attempt to boost growth. In the short term it will indeed encourage more economic expansion, but it puts increasing pressure on the international monetary system. Quantitative easing (the buying of government bonds and mortgage backed securities) in the United States that just ended after 6 years, kept global borrowing costs low and encouraged more spending on a worldwide basis. In Europe interest rates cannot go any lower. Despite German reluctance, the only option left to the Central Bank, will be their own version of quantitative easing. Japan as the world’s third largest economy, has just slipped back into recession. The Japanese are employing massive quantitative easing and lower interest rates, to try to stimulate the economy back towards growth. It is obviously not working, as well as expected. As world economic conditions have worsened, export orders for Chinese factories have remained sluggish since the middle of the year. Lower interest rates in China will boost the prices for most metals, in the hope that demand will pick up in not only in China, but elsewhere. There may well be a 5% to 10% increase in the price for a number of commodities used in industry. This would include coal, copper, iron ore, gold, silver, and others. It is quite likely that China will cut rates again, as well as loosen lending restrictions even further. 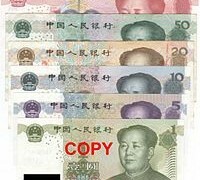 In China these are known as RRR (reserve requirement ratio). It in reality, limits the amount of money available for lending. Chinese officials are specifically concerned that falling prices could well cause an upsurge in debt defaults. This would be accompanied by a cascade of business failures and job losses. More liquidity would help to prevent this scenario. An additional problem in China, is the sky high debt burdens incurred by local governments. Many of these municipalities are undergoing reforms, in an effort to find a way to manage the liabilities occurred over the years of rapid growth and investment. China’s monetary officials have previously tried cuts in the RRR, with selected banks and liquidity injections into the Chinese banking system. However, these earlier attempts failed to bring down borrowing costs very much for the corporate sector in China. At the same time, producer price deflation has arrived in China, which is now squeezing corporate profits. With the economic slowdown in China accelerating, there has been a call for more action on the part of the Chinese government. The country is continuing with the weakest expansion in some 24 years. GDP (Gross Domestic Product) expansion, could easily dip below 7% for the fourth quarter. The central bank does not alone decide the final adjustment of interest rates, or the value of the currency. 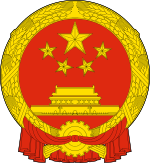 The final decision on monetary policy is set by the Politburo, which is China’s Communist Party Leadership Assembly. A role is also reserved for the State Council and the Cabinet as well. The hope in some circles is that the rate cut will help boost confidence for 2015. The government is expected to move forward with economic and structural reforms. There are a number of analysts in China that sense that 7% and even lower economic growth, may well be in the cards for the near future. For now the rate cuts will mostly benefit China’s large state owned companies, which have always had easier access to the government controlled banking sector. The debt pressure will ease somewhat at the corporate level, as companies can refinance loans that are now coming due at lower rates. This is important, because there are many that claim that Chinese corporate and local government debt is already at unsustainable rates. Once unemployment begins to increase, the public support for additional reforms could be undermined, forcing ever greater government interference in the economy. This would only lead to more structural imbalances and greater inefficiencies throughout the economic system. It might also call into question, the role of the Communist Party in national economic decisions and planning. To be fair China has some room for rate cuts. Inflation is officially listed as a mere 1.6%. In addition, Chinese interest rates are still relatively high, when compared to those in the United States and Europe at 0.25 and 0.05 respectively. The result of these moves by the Chinese government is to join the race to the bottom, when it comes to currency valuations. There is a possibility that a currency war will now follow. This is where each participant will respond to the stimulative actions of trading partners, by further lowering domestic interest rates. Global growth is weakening and with inflation falling in a number of leading economies, the strategy of many central bankers at this point, is to attempt to export the problem elsewhere. Since domestic demand is flat, the scheme calls for a way to generate more exports. This often leads to efforts to further devalue the currency, to temporarily give a competitive edge to domestic producers. The problem with the plan is that everyone seems to want follow, the same course of action. So any advantage will quickly be matched by other trading partners. Structural economic reforms that would open up markets to international competition, is the only way to really stimulate the world economy. The constant manipulation of currency valuations will not in the end, reinvigorate global trade.